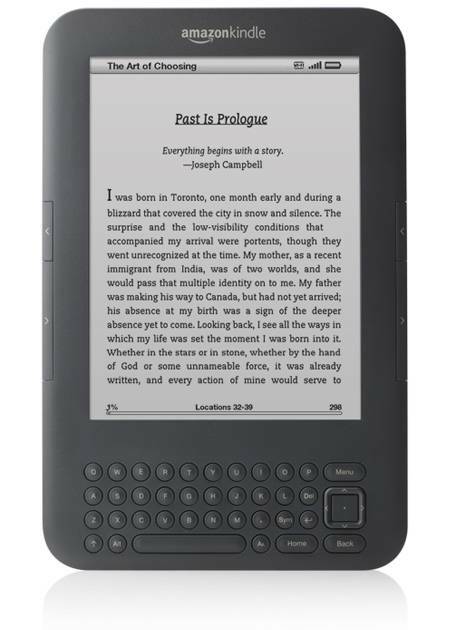 A few weeks ago my parents graciously offered to get me a 3rd generation Amazon Kindle for my birthday and Christmas present. Owing to my being located in Cambodia, we went ahead and ordered it with good time to spare, my thinking being that it could take a lot longer to reach me, could get entangled in customs issues, and so on. Such precautions were unnecessary though and I received the Kindle about three weeks in advance of today. Shortly thereafter Amazon launched the ability to give ebooks as a gift, something which I duly informed my family and set up a wishlist full of books that I wished to read. This morning I woke and, as is my custom in the morning, blearily checked my phone to see what email, work or personal, had arrived whilst I slept. I was delighted to be greeted with a number of emails from Amazon informing me that my older brother, his wife, and their children, had sent through digital gifts wrapped in HTML email. In a small way it reminded me of birthdays when I was a child when my family would sneak into my room whilst I slept and wake me with birthday wishes and gifts, wrapped in something quite different to HTML email. Whilst it obviously misses the important social element of being in the presence of your loved ones, it is nice to think that even when residing on the other side of the world, this little birthday ritual has some means of being perpetuated. I now have a large collection of reading to look forward to over the coming year from authors such as Kazuo Ishiguro, Aldous Huxley, Flann O’Brien, Herman Hesse, and Fintan O’Toole. Sadly, I assume due to licensing issues, the gift of an Iain Banks novel must be redeemed for a gift card as it appears people in Cambodia don’t get to read Iain Banks.